You can find out more about an Insight Provider by clicking on an Insight Provider's name, either in your Reading List or reading pane, which will take you to their profile page. 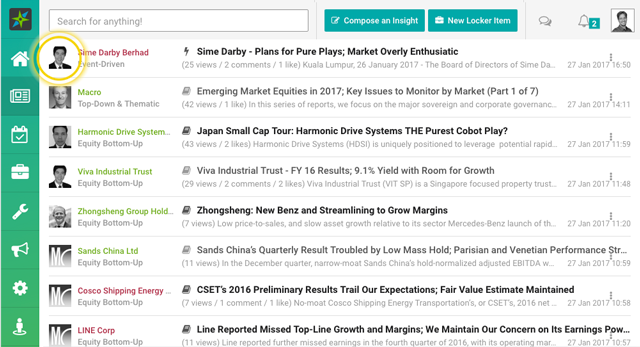 You can also search for an Insight Provider in the search bar at the top. Apart from reading about their background, you can also view other Insights they have published, Follow the Insight Provider, or send a private message to the Insight Provider. 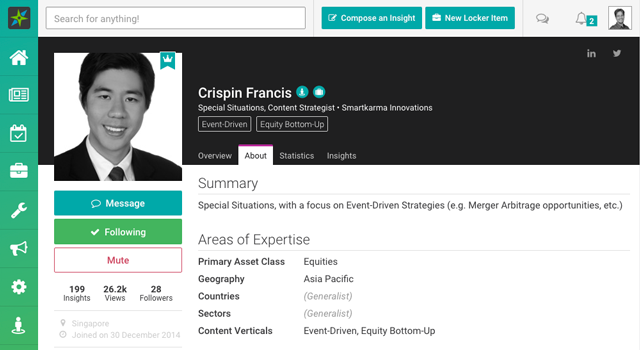 Clicking on an Insight Provider Company's profile page would additionally show you the analysts at the Company.